Executive SearchFind your key staff with our premier executive search solution, tailored to meet your needs. Click here to read more about our search process. We'd be honored to serve you. Not ready to get started? Try our free tools to help you build a great team. BlogWhere 50,000 leaders go to grow. PodcastExclusive interviews about how to build, run, and keep a great team. WebinarsOn-demand webinars to help you grow. BooksExclusive books from the Vanderbloemen team. eBooks50+ free eBooks to help you build your best team. ToolsThe Culture Tool and Bad Hire Calculator are free tools to help you grow. Why Choose VanderbloemenThese 12 pillars set us apart. Our StoryFrom our founder's dining room table to serving teams nationwide with a greater purpose. Strategic PartnersMeet our partners who are an extension of our team around the globe. Press & NewsroomCheck out company news and the press that has featured our work over the years. Our CultureLearn more about our values and award-winning culture that drives everything we do. Our TeamMeet the people behind our in-house team. 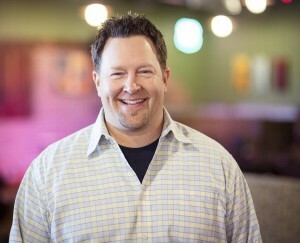 "They have helped us fill significant roles with the perfect person for LifeChurch.tv. I don't know anyone better at assessing an organization's needs and finding a match." "Vanderbloemen Search Group exceeded my expectations! After two successful hires I can't imagine searching for staff support any other way!" "William and his company learned about our needs, listened to us, and asked the right questions to know what we needed for our position. I'd encourage your church to use them." "This was the first time a search firm has been able to help us identify the right candidate for a senior leadership role. I am grateful to the Vanderbloemen Search Group." Eric is the Executive Pastor of Rolling Hills Community Church in Tennessee. Eric received his bachelor’s degree from Judson University in Elgin, IL and his Masters of Divinity from Trinity Evangelical Divinity School in Deerfield, IL.During his 25+ years of ministry Eric has served in churches as a youth pastor, adult ministries pastor, small groups pastor, associate pastor, worship pastor and men’s pastor. Eric also loves to serve the church at large. As a writer, Eric was a contributing author for Group Publishing’s “Men’s Ministry in the 21st Century”. In addition, he has written for magazines / web pages such as Church Executive, Rev!, Xpastor.org and had a monthly column in Church Solutions magazine. He also serves the church at large through consulting and seminar presenting. As much as Eric enjoys ministry, his real joy and first ministry is his family. He has been married to Rachel for 23 years. They have 3 children all in college – Luke, Adam, and Chloe.